The Mission Bay Ferry Terminal will provide critical regional ferry service to and from the Mission Bay neighborhood, one of the fastest growing neighborhoods in San Francisco, as well as the Dogpatch, Potrero Hill, Pier 70, and the Central Waterfront neighborhoods. The Ferry Terminal will further activate existing maritime activity along our working waterfront. 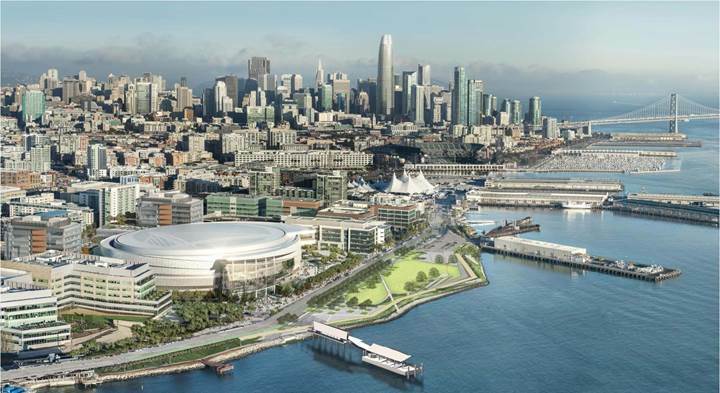 The Mission Bay Ferry Terminal Project will provide capability to berth two ferry boats simultaneously and may include a nearby water taxi landing. The terminal would sit within a half mile of approximately 11,000 new housing units, 7 million square feet of new office and commercial space, over 1 million square feet of new retail space and 70 acres of public open space. Additionally, the terminal is planned within one block from the TThird line, which is underway for extension to San Francisco’s Chinatown neighborhood. The terminal will be an easy walk to the Golden State Warriors Chase Center, the UCSF Mission Bay hospital and campus, and to San Francisco’s related life sciences community. It is estimated that the ferry terminal will have the capacity to handle up to 6,000 passengers per day. The terminal is essential to alleviate current regional transportation overcrowding, and provide transportation resiliency in the event of an earthquake, BART or Bay Bridge failure, or other unplanned events. Ferry service will reduce our community’s carbon footprint and consideration for sea level rise will be incorporated in the ferry terminal design. The Port of San Francisco will lead the project with the support of the Mayor’s Office, Office of Economic and Workforce Development (OEWD), Water Emergency Transportation Authority (WETA), and consulting design teams. It is anticipated that construction will be completed in 2021. The total project cost may exceed $43 million. Provide critical regional ferry service to and from the fastest growing Central Waterfront neighborhood in San Francisco. Alleviate current local and regional transportation overcrowding. 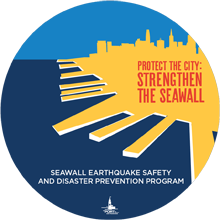 Provide transportation resiliency in the event of an earthquake, BART or Bay Bridge failure or other unplanned event. Engage the San Francisco community in the planning process for a working Central Waterfront.